I understand this is a multifaceted question and I apologize . All of it is relevant to be understood. On Earth Fly wheel storage devices are used as an alternative to batteries. Even with magnetic bearings these devises expand and contract making the clearance between parts an issue. Between the Earth and Moon temperature can rang from −270 °C and −454 °F. Maintaining the bearings in them and the weight make them less efficient then batteries. Transporting them while they are spinning is also an issue. Moving parts that touch wear out. Bearing must be maintained and has it own set of issues. 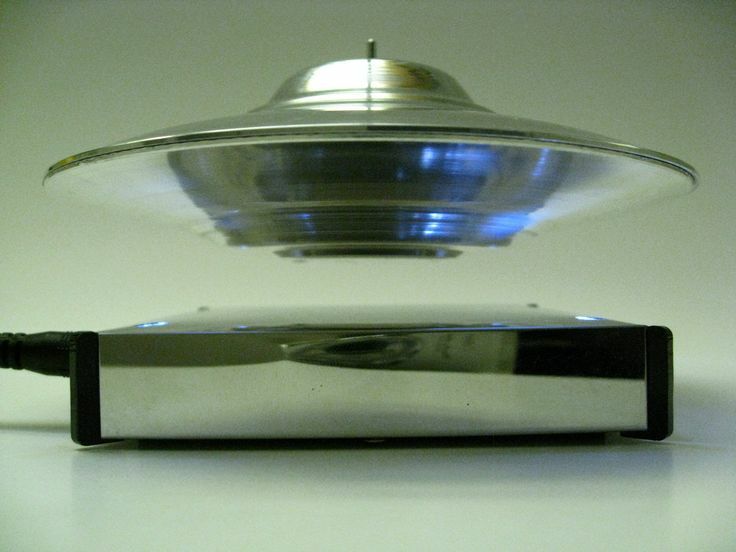 I propose this as an alternative: This type of magnetic levitation below can be used in place of the magnetic bearings at 0 gravity and possibly on Earth or moon. Are flywheels used in space and in this way? The lower drawn model below on the left will work on Earth but the gravity and air slow it down. No air on moon even better in space. The flywheel can be much heavier and be contained/entrapped using 2 magnetic bases and the magnetic core in the center of the flywheel. Using timers to apply Gauss to a curved edge of the magnetic core it could be spun faster similar to spinning a basket ball on your finger with out knocking it off the axis, but also like a brushless motor. This would also be easier to transport. Would there still be any friction other than when electricity is collected or Gauss is applied while spinning? The picture below is my version of a bearingless version of a flywheel storage devise . The design is basic, but is it plausible? When up scaled? Why not? I am hoping someone could improve the design. The disks would be 2 parts to a space station. The flywheel would be large and heavy to the point of simulating gravity if you where standing inside the drum also heavy enough where power drawn shouldn't cause a noticeable shift in gravity. It doesn't have to spin fast if it is heavy. Since the main part do not touch they will last indefinitely. Constructing the magnets can be done in parts. Flywheels are used in space, but not for storage of energy. They are used for attitude adjustment, as the spinning of a large mass has significant implications in an object which is free to move. Unlike on Earth, where a flywheel or gyro can be spun up against the force holding it in place (bolted to foundations), and change in spin speed will cause the craft it is attached to to rotate the other direction. This is true whether or not you are accelerating or decelerating the flywheel, so when putting energy in, or trying to recover energy. If you build this device on the scale you suggest (a space station with 2 toruses as the 2 flywheels), the variations in rotation speed lead to variations in gravity in the toruses. Variable gravity makes things difficult for humans: for example, extending your arm to place a cup of coffee on a table. The weight of arm+cup informs the amount of muscle tension needed in the arm, lots of practice allows you to do this movement without thinking about it. When the gravity changes, your calibration is off and you end up banging into the edge of the table instead. You also won't be able to get away with a design with no bearings: you have two pressurized spaces rotating in opposite directions that have to be connected to each other with a reasonably airtight seal. Plus numerous connections for power, data, water, gases etc. Speculation: having two masses rotate in opposite directions is a good start, but I'm not convinced it's enough to counteract the torque you get when trying to change the station's attitude. The two masses are each at a distance to the center of mass of the station, so their moments don't cancel each other out. Not the answer you're looking for? Browse other questions tagged design dynamics energy magnets or ask your own question. What's the difference of using different state-space forms for solving eigenvalue problem? Is martensitic steel 455 magnetic? Could a spinning permanent magnet's interaction with the Earth's magnetic field propel a boat through the water?